You step off a dock, and into a wobbly boat. The vessel steadily floats away from the wooden peninsula, and carries you out of the cave’s mouth. You can’t believe what your eyes fall upon: a towering palace canvassed in pristine emerald. Multitudes of colored lights blink from the inside, and are refracted through the gems like prisms, illuminating the night sky. Twinkling melodies swarm your ears and grow in volume as you near the structure’s open gate . . . When the topic of genre preference is broached in a music conversation, the word ‘ambient’ seldom arises, most likely because of its lack of primary focus on the rhythm section, or it might be the glacial pace at which songs progress. Now, the term ‘house’ is one that comes up far more often; but should they be intertwined? 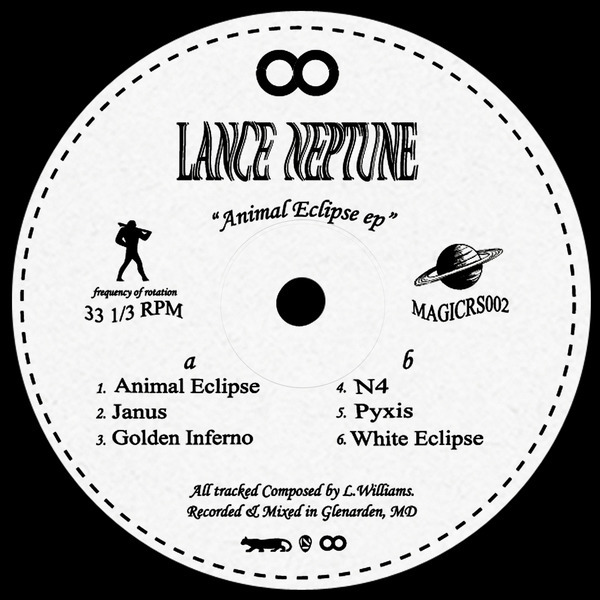 Animal Eclipse is the answer to that, and the newest release from Maryland producer Lance Neptune. Across a brief six-song EP, Neptune dazzles with ambient-house hybrids, highlighting the most compelling aspects of each genre and sewing them together seamlessly. The solely ambient tracks that bookend the record consist of glistening, sun-drenched synths and enveloping nature samples, while the album’s core revels in club-primed, garage-house-leaning beats drenched in starry-eyed melodies, grooving bass, and mantra-like vocals. There’s something distinctly dream-like about the environments that Neptune builds with his compositions. The producer is clearly proficient with sound design, as each song wraps around listeners with lush mixing and transportive field samples. Animal Eclipse is a short plunge into a vivid imagination, with both meditative ambience and enticing grooves abound. If you’re seeking glistening ambient-house, this album is for you.